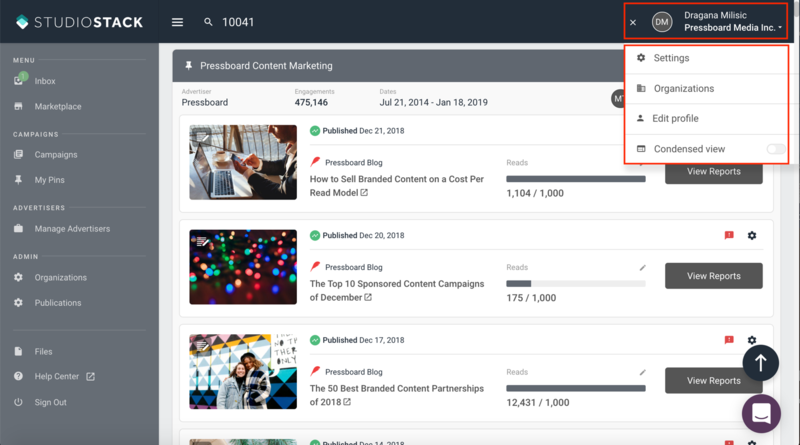 The user log-in is now located in the top right-hand corner of the platform. Additionally, there is a new drop-down menu that includes Settings and a new feature called Condensed View. 1. 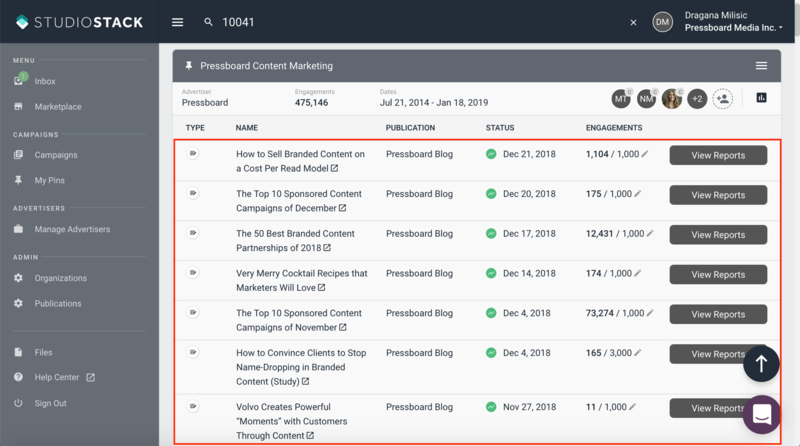 Enabling Condensed View reduces the detail shown for each campaign level so you can see multiple campaigns listed on the same screen. Condensed view is activated by each user individually and is not applied to everyone in the organization. 2. 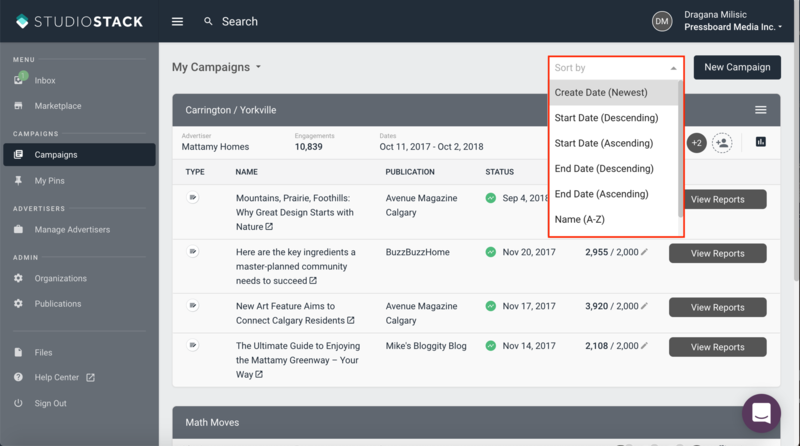 For organizations running multiple campaigns, they can now be sorted by a variety of criteria using a new drop-down menu. 3. 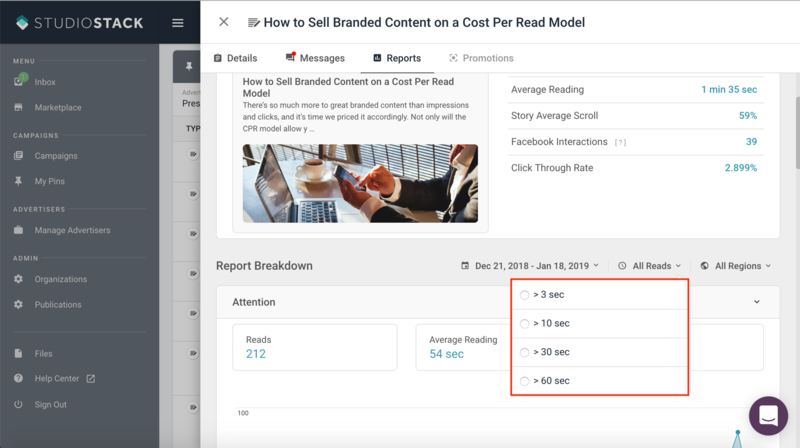 Within campaign reporting reads can now be filtered by minimum reading times of 3 seconds, 10 seconds, 30 seconds, or 60 seconds.